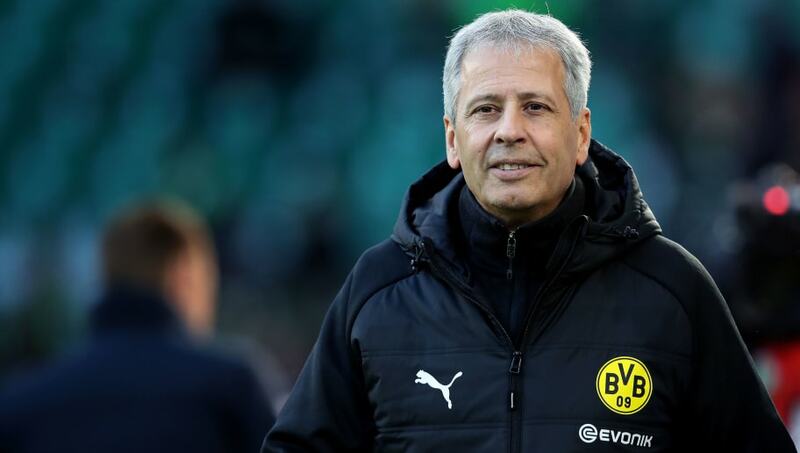 Borussia Dortmund manager Lucien Favre praised a 'well organised' VfL Wolfsburg side following their tightly contested Bundesliga encounter on Saturday. A solitary goal from Marco Reus proved to be the difference between the two sides on matchday 10 but the visitors did have a number of opportunities to extend their lead in lower Saxony. Borussia Dortmund edged past Bruno Labbadia's side by the skin of their teeth, and head coach Favre pointed out the club's inability to kill off the game as an area to improve ahead of their trip to Atlético Madrid on Tuesday, as well as next week's Klassiker. "Wolfsburg were very good in the first half," Favre said in a post-match press conference, quoted by Die Wölfe's official website. "It was very difficult for us because they were well organised. We struggled to find openings. "We kept trying to create chances and the goal was very important for us. We were better in the second half; we dominated the game for 30 minutes and had a lot of possession. "When you have a period like that, you have to score the second goal but we didn’t manage to do that. You never know what’s going to happen. Wolfsburg could’ve equalised and the danger was there until the final whistle." Saturday's result ensured that Favre secured a record 15th game without defeat with Borussia Dortmund - surpassing Thomas Tuchel's tally of 14 - following his arrival from OGC Nice during the summer. As Bayern Munich threw away their narrow lead over SC Freiburg to draw 1-1, the Black and Yellows will remain at the top of the Bundesliga table for at least two weeks regardless of the result in Der Klassiker.